A trip through some of the Ecological Reserves of the Okanagan in the fall of 2012. 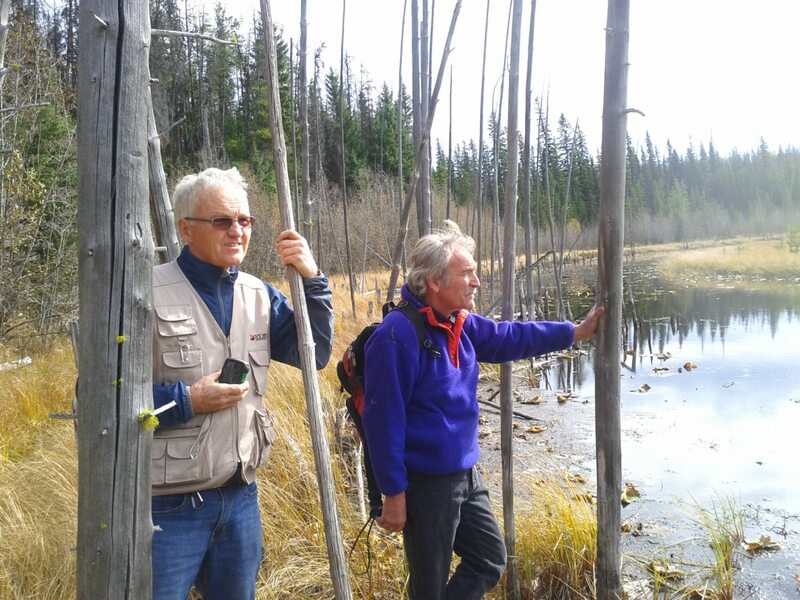 It is not often that members of the Board of Friends of Ecological Reserves get the opportunity to meet with reserve wardens, hear their concerns, and get to see the Ecological Reserves looked after by those wardens. In the second week of October, I was fortunate to be able to take the time off and have the opportunity to do so in the Okanagan region from Osoyoos to Vernon. I have made image galleries for all of the reserves visited , all can be accessed from the “photos” link on the individual reserve index pages. Leaving from Victoria on October 7, I picked up a friend in Vancouver, Niran Lella, who likes photographing interesting scenes in natural places. We had intended to make our first stop at Whipsaw Creek Ecological Reserve south of Princeton that afternoon, but by the time we found the Whipsaw Creek forest road and talked to a group of off-roaders who had just come down a very dusty and rugged logging road after a weekend of camping in the area, we decided that we would probably not make it in before darkness. Added to that was the uncertainty posed by not having a reserve warden to accompany us as there has been no warden appointed for that reserve. The next day we stopped at Field’s Lease ER and Hayne’s Lease ER just North of Osoyoos. To me, as a biologist living in Victoria on the Coast, this was an introduction to completely new types of ecosystems. The dry desert-like environment provided a new bewildering array of species. 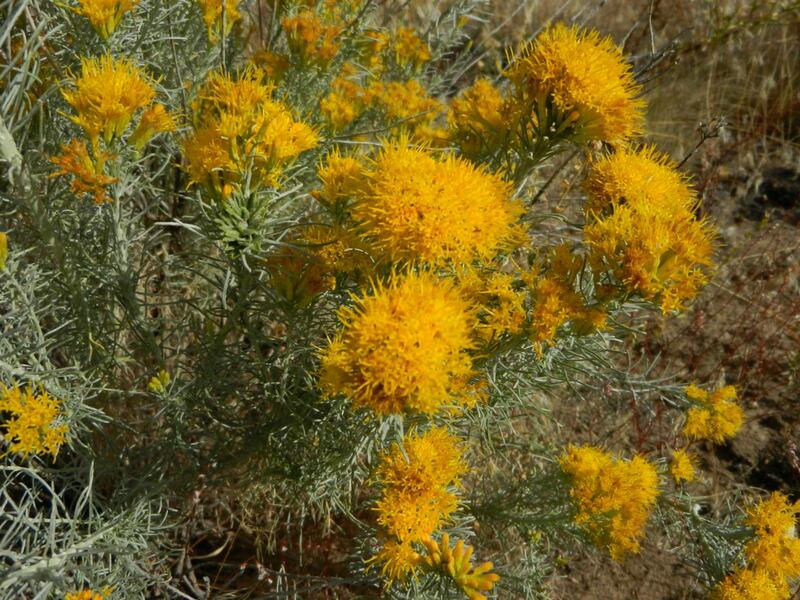 Field’s lease is probably the most extreme as the sage brush, antelope brush and rabbit brush were quite dominating. Field’s lease is the smallest reserve we encountered, but it is essential as it preserves, among the vineyards, a very rare form of ecosystem for Canada. The warden for both these reserves, Robert Calder was not available as he was away, but access was fairly obvious. Field’s lease is obviously vulnerable as there is land to the West which has a build up of dry materials and the reserve itself is full of years of buildup of dry vegetation which makes one wonder if some of the unique vegetation could survive a wildfire in the area. The other obvious problem which must limit the use by wildlife was the surround-sound reverberations of the canons used to scare predator from the vineyards. View to the north-east of the reserve.The reserve also goes up Throne Mountain or Inkaneen. 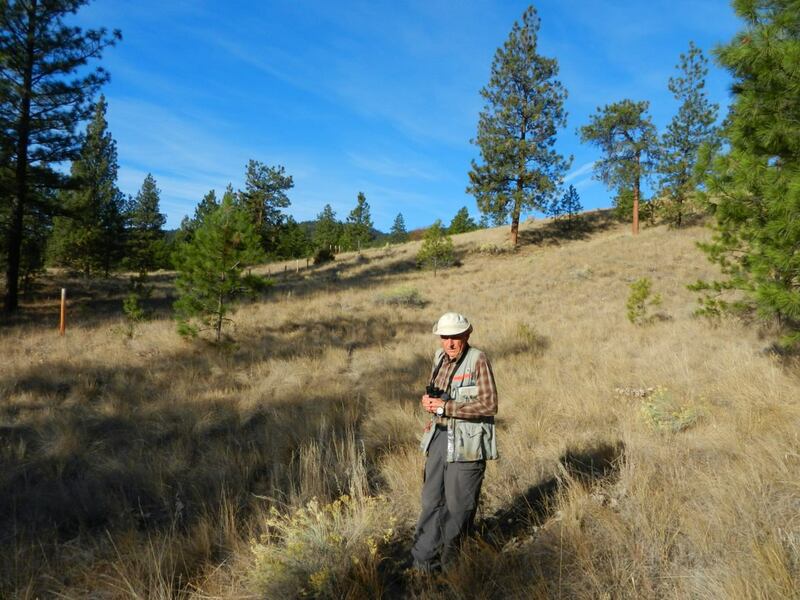 Hayne’s lease had similar desert-like vegetation on the upper bench land level , but it is bisected by a road and in the lower portion, a wetland composed of a series of Oxbow lakes from the Okanagan River flood plane, the ecosystem which is also part of an International Bird Area. A group of canvasback ducks, a great blue heron, and other waterbirds were seen in the distance. The third ecosystem in the reserve is the steep western slope of Inkaneen or Throne mountain on the east side of the reserve. 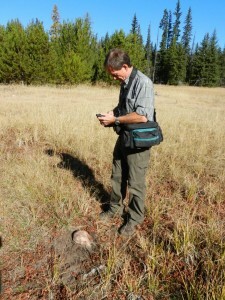 We did encounter one example of research, on the upper sandy benchland. A temperature recorder which we uprighted , having fallen over some time ago. We have no record so far of who had installed the recorder and not retrieved it. I was surprised to see the snowy buckwheat, a new species to me, in full bloom in this reserve. A fire swept through the upper part of this reserve some years ago. There was still blackened branches of Antelope brush, with only a few bushes showing some level of regrowth. A large vineyard abuts the reserve on the south end . This is clearly shown in the panoramas. Here again, the sound from the bird-scaring canons was dominant. Laurie Rockwell in his Ecological Reserve. 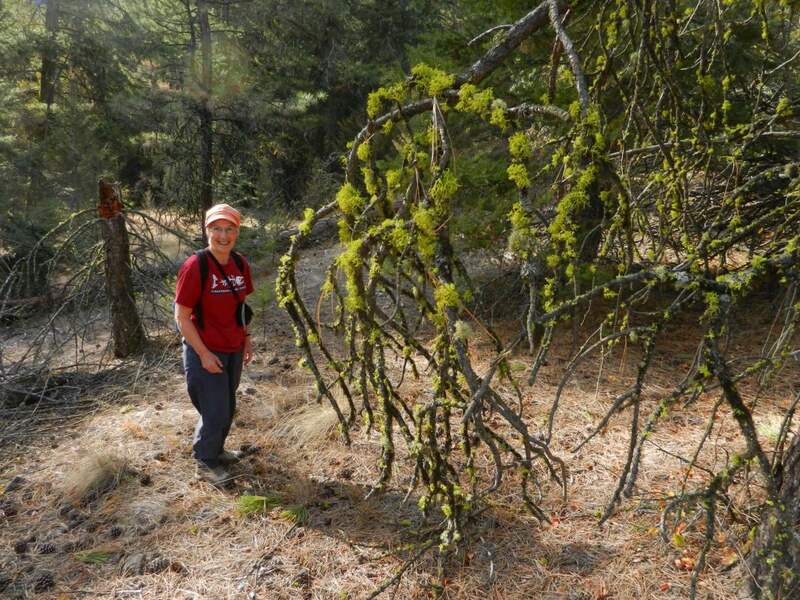 On October 9, we met up with Laurie Rockwell in Summerland and drove up above the golf course to the edge of the Trout Creek Ecological Reserve. 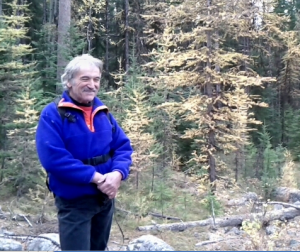 I was especially interested to meet Laurie as he has for many years been a regular contributor of his warden reports to the Friends of Ecological reserves website. 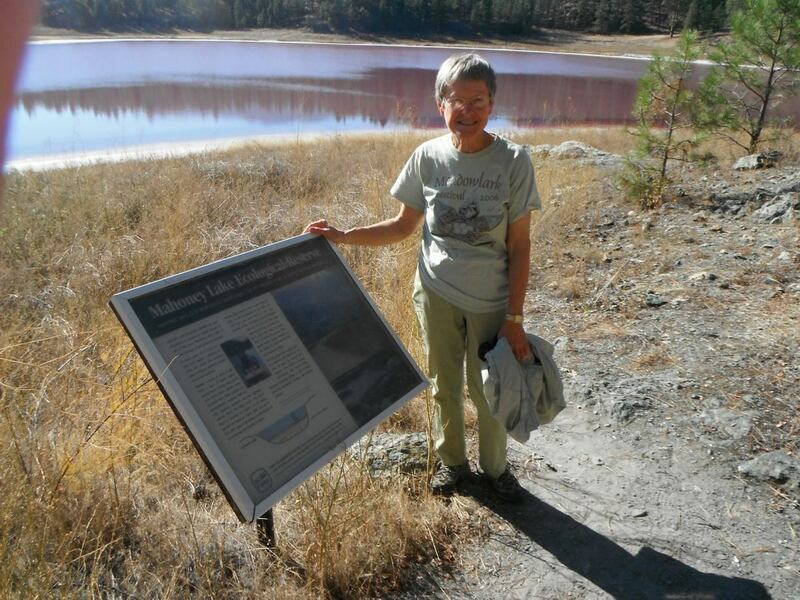 Laurie provided an excellent overview of the reserve as we went on a long hike through it encountering different vegetation of the open grassland and Ponderosa Pine Forest. Laurie emphasized the importance of only small groups being allowed to visit these sensitive ecologic reserves. On the southern boundary of the reserve, and wrapping around the west side lies the cliffs leading down to Trout Creek itself. We could hear it but not see it from our high viewpoint at the top of the cliff in the reserve.. This natural boundary provides excellent security for the reserve on two sides. Next Laurie was up to checking the fence line on the steep North side. This fence is important for delineating the boundary to humans and to keep any stray cattle out. He had reported some areas where it was down and the local Parks office had been diligent in sending out Park employee Sarah Bunga, Park Warden to repair it. In the afternoon it was back to Penticton to meet up with Kathryn McCourt for a trip out to Mahoney Lake Ecological Reserve. I had noticed from other photographers images I had posted previously on the website, that October -November seemed to be good months in which to witness the bloom of purple sulphur bacteria in this meromictic (non-mixing) lake which is the best example in North America. We were certainly not disappointed. Kathryn mentioned that in September the colour had not developed yet, and she sent pictures to show the contrast. The extremely dry year had led to a record low water level. This reserve is very accessible to the public, perhaps too much so as it was clear that in the past many have ignored the very clear sign with information on the uniqueness of the lake, and have tested the stability of the white salt-encrusted muds on the shoreline. On our way out we even met up with several young men who were going in with lunch and a bottle of wine. This reserve poses the typical problem of preservation. Yes it is a beautiful phenomenon which you would hope anyone should be able to experience, but there will always be those who abuse the privilege and push their freedom to do as they please to the limit. In BC there has to be a better focus on education of the difference between how one can use a regular park and an ecological reserve. There is such little representation of these rare areas in the province, that we risk destroying the very thing that makes them unique if we have unlimited access by people not interested in preserving the unique values. 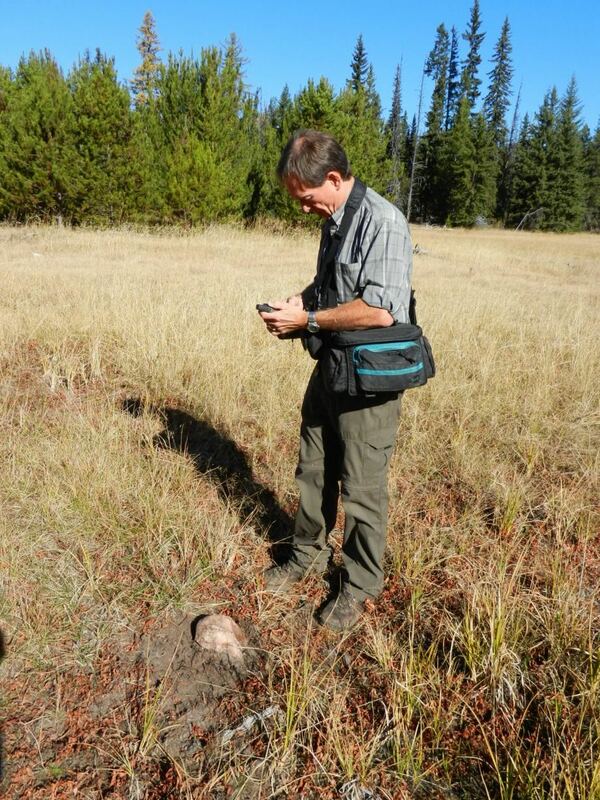 Ecological Reserve Warden Don Guild taking GPS readings. On Wednesday we met up with Don Guild in Kelowna, and he drove us in his car out to visit his two reserves, Browne Lake ER and Big White Mountain ER. The Browne Lake reserve actually starts in the forested area half-way up the ridge beside the lake and goes over the ridge to a meadow and marsh on the other side. The heavy forest with deadfall makes access to this reserve fairly difficult but abuses by some individuals were still evident. I will write a paper on this later. The meadow is very pristine and with both it and the surrounding forest of spruce, this is a very well situated reserve. Don Guild with reserve behind. Our drive over to Big White Ecological Reserve was rather eventful as it led to probably the roughest terrain I had ever gone over in a vehicle. First, a boulder strewn snow-cat access road up the mountain with permission of the mountain facility staff and later the decommissioned logging roads for a view of the lower part of the forested area of the reserve. I would hesitate to recommend either to anyone. Don was an expert guide and driver however and we got in and out safely. Two threats are obvious in preserving the integrity of this reserve. Although it is of considerable size, logging clearcuts are starting to approach close to the lower boundaries and the potential plans for further development of the Ski resort, especially as a summer access facility could be disastrous for the fragile vegetation on the rim and slopes of the basin. That night we were appreciative to be invited for dinner and a stay over at Don’s place. Dennis Seymour and Roseanne van Ee, Ecological Reserve Wardens for Cougar Canyon ER. 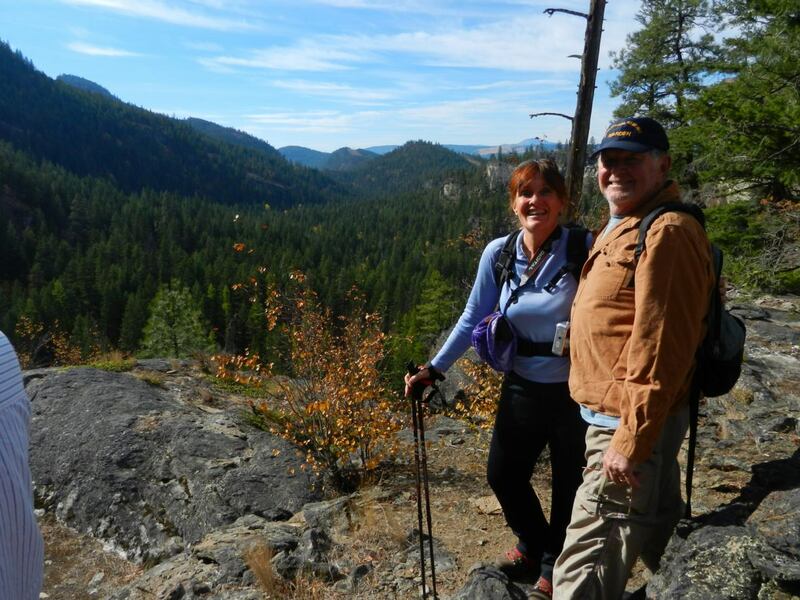 On Thursday morning it was off up the West side of Kalamalka lake to Vernon where we met up with Dennis Seymour and Roseanne Van Ee who drove us up to a vantage point to look over the Cougar Canyon Ecological Reserve. Unfortunately we did not have time to get down into the reserve to see the unique system of lakes. It was easy to appreciate why this place was made into an Ecological reserve however as the geology of the canyon and the terrain results in a valuable set of ecosystems. We were in the area of Kalamalka lake Park where the locals have installed equipment on climbing cliffs . The heavy use of the park makes one wonder when access by mountain bikes and ATVs may start to be a threat to the reserve itself. In the afternoon Roseanne drove us out to meet up with Linda Kennedy for a trip to the summit of Campbell Brown Ecological Reserve and a walk down thought the full length of the reserve on an old track made by her grandfather when this was his ranch many years ago. Her father gave the land to the province in 1975 and it was preserved by making it into an ecological reserve. The seed pods of Mariposa lilies dotted the grassland. 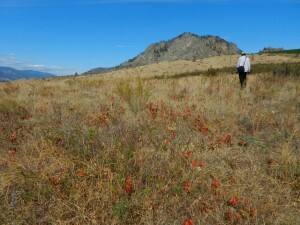 Here, as in most of the Okanagan reserves we visited, the blue-bunch wheatgrass survived in abundance. However it is being encroached upon in many areas by the aggressive introduced knapweeds. BC parks and many of the wardens have waged war on these invasives with pulling and removal campaigns and and with the introduction of a biological control beetle. The surrounding land however has massive growths of this invasive which can out-compete the native grasses. We were particularly impressed on the Campbell Brown reserve with the many viewpoints where one can survey the length of Kalamalka Lake. Also, the west end of the reserve which we visited earlier that day, Cougar Canyon ER, was clearly visible just across the Lake. On Friday, our last day was likewise crowded with visits to three reserves. 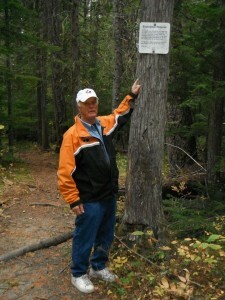 Norbert Maertens, Ecological Reserve Warden for Buck Hills Road and Lily Pad Lake ERs. the Buck Hills Road Ecological Reserve. When this reserve was established, the Road actually went right through it. Fortunately the road was repositioned and the old road bed is now overgrown with young pine and alder. 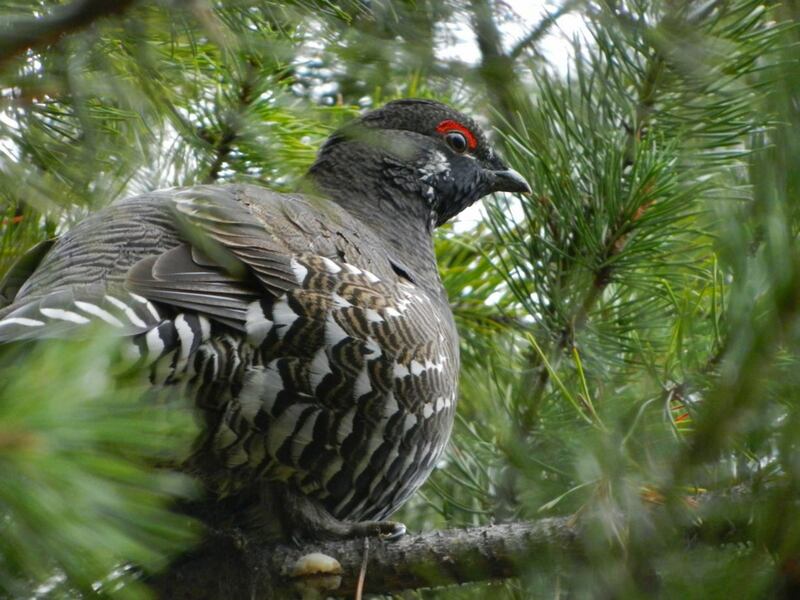 A pleasant surprise on entering the reserve was a very tame spruce grouse which stayed on the ground and in the trees as we were able to photograph it without disruption. Norbert led us up to the core of the reserve where there is a rare stand of old growth Larch. At this time of the year they were in full golden fall colour, forming a ring around a set of mounds of basalt boulders, These are the remnants of extinct columnar volcanic chimneys. We speculated on how the rocks must have avoided being removed by the last ice age. Either this volcanic range existed only after the ice age, or it was part of volcanic cores that projected beyond the ice cap and have since slowly collaposed. Some geological research is need to clear up that one. The large loosely tumbled boulders provide a restriction of plant growth and ideal habitat for ground-dwelling mammals. Although we didn’t see any that day, Pika’s are said to live here. Perhaps the Eagle nest at the top of one of the tall larch trees had some limiting influence on them. It was clear that the thick pads of moss and vegetation and lichens on the rocks would not be able to handle excess traffic of people in this reserve. Next, on to Lily Pad Lake ER, another jewel in the Ecological Reserve system. Evidence of someone seeking to make access easier was seen on this reserve, as someone had taken in a chain saw and cut sections out of deadfall trees and even removed live saplings in order to make a path, probably for Mountain bikes or ATVs. This is one that should be carefully monitored as it is too valuable a habitat for moose and other animals to have trashed by access by those not aware of its ecological value. Ecological Reserve Warden Rick Fairbairn. On Friday Afternoon we met Rick Fairbairn on a forestry access road running right through the Vance Creek Ecological Reserve. While we stood there getting an orientation to the reserve, the traffic on this road was unlike what you would expect in an ecological reserve. The road provides access to recreational vehicles as well as several logging operations above the reserve. This is one reserve where one seriously wonders whether there may not be too many parts compromised for the good of the integrity of the reserve, and why this road was not moved outside the reserve, as the narrow restriction of the bridge is smaller than that allowed on logging roads. The community seems to treat it as a regular park, with their own trails and facilities built inside. In the purpose statement of BC Parks , it indicates that the forest here is a unique location for forestry studies, since it has old growth samples of 5 commercial tree species. The use by many others however was obvious. We will have to check on whether any of this is done by permit. However the most obvious threat to the reserve comes from the lack of foresight to provide adequate buffers in the watershed above the reserve. With several forest tenures in this watershed, one might anticipate serious modification of the stream bed and the lower forest in peak runoff from the stripped bare hillsides. 1. 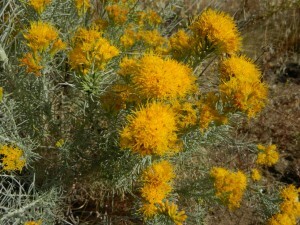 Introduced invasive species , especially Russian and diffuse knapweed threaten many of the grassland native species. 2. Lack of buffer zones make access by motorized vehicles too easy in many reserves. 3. Regular and timely communication with BC Parks personnel is essential . 4. 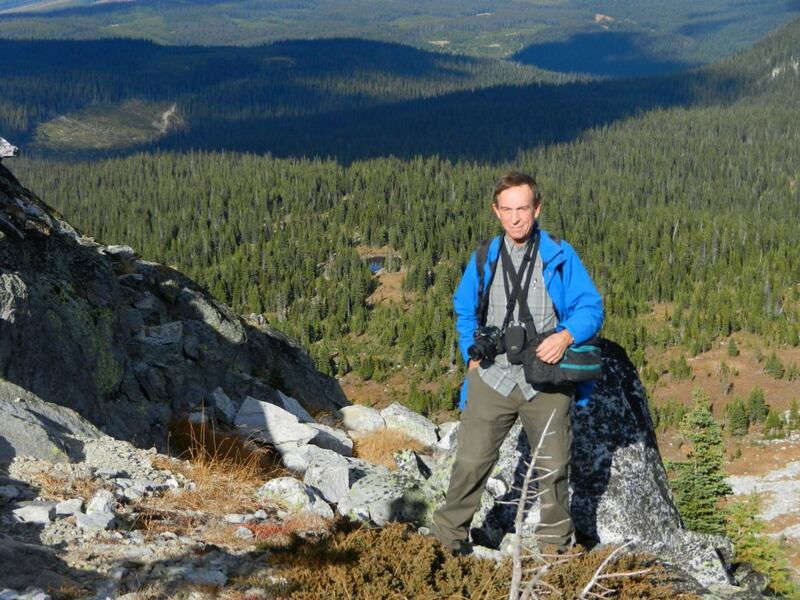 Research by academic institutions in ecological reserves is much less now than previously. 5. Adequate baseline surveys and follow-ups are necessary but not forthcoming. 6. Education of community user groups of wilderness areas is either lacking or not reaching those who seem oblivious to the values of preservation of ecological integrity in reserves. 7. Another issue facing most of the reserves was that of succession of wardens. Many wardens who helped create the reserves are now now getting older. Perhaps an active recruitment program is needed in some areas, and the fact that Whipsaw Creek didn’t even have a warden was of concern. Finally I must mention how impressed I was with the knowledge and commitment of the 8 Ecological reserve Wardens whom I met along the way . I am not sure whether BC Parks really understands and appreciates the value it gets from these volunteers. Their knowledge of the history of the issues and the complexity of species in the ecosystems of the reserve must not be undervalued. They are also often the first to observe significant events and report infractions to BC Parks. Further it emphasized the importance of informing the wardens of any permits for research or plans by BC Parks for modifications within the reserves. It also seems hard to justify why any reserve in the province is currently without a reserve warden. BC Parks must place a higher priority on seeking out qualified individuals who are willing to take on the challenges of being a reserve warden equal to the passion which I saw demonstrated in these 8 wardens in the Okanagan. Our appreciation is extended to all eight of the wardens involved who willingly took the time to show us their reserves and review the management issues associated with them. It should also be mentioned that several of the Wardens I met with were members of the North Okanagan Naturalist Club (NONC). They also maintain a gallery of photos of species of the area . Race Rocks Ecological Reserve #97 Warden.